For any specialty, an innovative, competitive workforce requires more than market competencies—it must also carry the power of innate, authentic human connection. 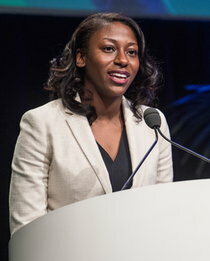 The Society of Interventional Radiology (SIR) recognizes that the success of its mission draws strength not just from the clinical expertise of member physicians, but also from the diversity of their backgrounds and experiences. As a specialized group of medical practitioners, the diversity of our members and the patients they treat every day is of utmost importance to the overall health of our specialty. SIR values a culture of inclusion in which all members of the IR community are accepted, respected and embraced. It is with this mindset that SIR launched a society-wide Diversity and Inclusion Initiative. Increase the diversity of IRs to better represent the patient populations they serve. Foster diversity and inclusiveness with specific education, awareness, outreach and networking projects and activities. Promote a culture of inclusion in all aspects of SIR’s programs, policies, communications, and services. A Diversity and Inclusion Advisory Group has been formed to serve an advisory role and spearhead efforts in five broad goal areas: recruitment; data and benchmarking; health disparities; awareness and collaboration; and member education and resources. SIR believes that a diversity of viewpoints is an important aspect of advancing medical science and interventional radiology. In order to assist with this effort, the Women in IR Section created a Speakers Bureau to help regional, national and international meeting planners identify women and people of color to speak and present their scientific research. Grants are available to help invited speakers defray the travel costs associated with their engagements. In addition to speaking grants, SIR also created a microgrant program to support scholarly research conducted by women or people of color and to support research that explores issues that affect or enhance diversity in the specialty. For example, a primary investigator might apply for a grant to support research into workforce issues that affect women in IR, or an institution may apply to support the development of an IR diversity program or initiative. 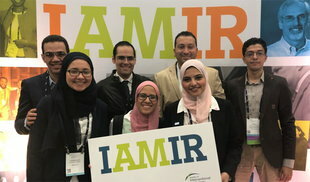 Launched in 2017 to recruit and retain women and underrepresented minorities into the field, SIR’s IAmIR diversity and inclusion campaign have come to be a symbol for the specialty, embodying a spirit of community and camaraderie across all of interventional radiology. This award is a testament to the commitment of interventional radiologists to building a workforce that reflects the diversity of the patients they treat. It is also a powerful validation that efforts to recruit and retain IRs from diverse backgrounds are resonating outside of SIR, with other associations who seek to make a substantial, positive impact on the world every day.